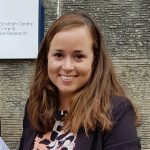 Home » News » Emiline Smith passes her PhD viva: Congratulations Dr Smith! We are pleased to announce that Emiline Smith has passed her PhD viva with flying colours. Emiline’s dissertation, entitled “Illicit Markets in the Global City: The Cultural Property Trade in Hong Kong”, is the product of a year of dedicated fieldwork on the movement of cultural objects through the region. Her work expands upon the idea of Hong Kong as a global city, taking a ‘glocal’ approach to understanding the international trade in a local, transit context. Her PhD supervisors were Simon Mackenzie and Alistair Fraser. We’re also proud to say that Emiline will be starting a lectureship in criminology at the University of Liverpool/Singapore Institute of Technology where she will teach on topics related to transnational crime in Asia and expand her research into the movement of illicit cultural goods in this new context.